Film and video game fans who like to pick up special bundles and exclusive packages may already know about Zavvi.com, the UK-based online retailer of all things entertaining. Zavvi's merchandise line-up includes exclusive steelbook releases of DVD movies, game console bundles, custom controllers and loads of action figures, posters and other memorabilia. What they may not have heard about is Vouchersky, a website that specializes in discount coupons for hundreds of retail stores and sources, including Zavvi. Some of the offers posted recently on the site include 10 percent off on your first Zavvi order, a 10 percent discount on Zavvi orders of £100 or more, and free next-day delivery in the UK. The site also has several interesting Zavvi deals and offers. Those include two DVDs for £8, two games for £10 and three clothing items - t-shirts, shorts or flip-flops - for £20. 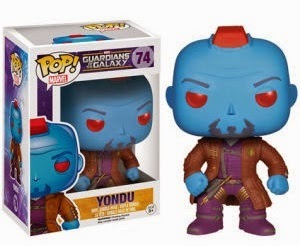 When you're ready to score the complete Guardians of the Galaxy action figure collection at Zavvi, make Vouchersky your first stop.